Millennials are the target customers of the global fashion industry. From luxury heritage brands to start-up designers, whether in the upstream or downstream flow of the industry chain, fashion companies are not only designing products to cater to young people’s fashion preferences but are also connecting with them emotionally by enriching and updating marketing content, both online and offline. 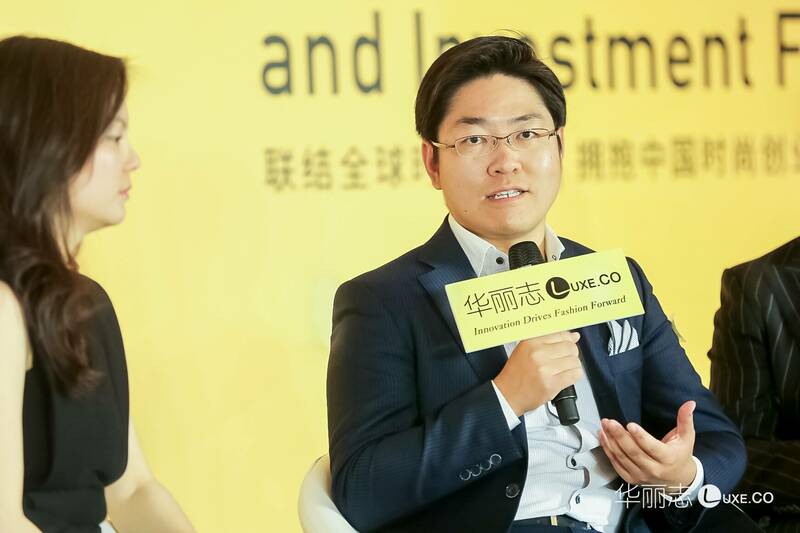 At the Roundtable: “How to win over the fashion customers of the younger generation?” from Luxe.CO Global Fashion Innovation and Investment Forum(LGFIIF), Yusuke Mori, Managing director – China of TASAKI shared his opinion（TASAKI大中华区董事总经理屠雷）. For this roundtable, Luxe.Co also invited Jie Ma, Executive VP for Greater China & Developing Markets Asia of The Woolmark Company., and Yang Du, The founder of Young Fashion. Elisa Wang, Head of Fashion, Luxe.CO hosted this roundtable. Managing Director, China, of TASAKI. Yusuke Mori joined TASAKI in 2014. In his four years at TASAKI, he has expanded the brand’s Chinese market and taken its creativity and craftsmanship to a new level, bringing its customers an impeccable jewellery shopping experience. The message he communicates to Chinese women is that luxury jewellery doesn’t just exist for special occasions: its exquisite quality can also bring happiness to everyday life. Yusuke Mori has worked for several well-known financial organisations including Mitsubishi UFJ Financial Group, Citigroup, MBK Partners and Hony Capital. What is are the younger generation of consumers like? Elisha Wang: From your perspective, what are the characteristics of the younger generation of consumers, both globally and in China? Do you think the two groups are similar or different? Yusuke Mori: The younger generation of global consumers are in pursuit of creativity and style in fashion products. Take our own brand for example. Eight years ago, TASAKI underwent a huge transformation. At that time, our designs were ahead of their time and we had doubts about whether they would sell well. However, judging from the numbers, both the sales and our share of the market increased rapidly in every country and region in the world. That’s why I think our younger consumers are after creativity and style. In China, consumers are becoming more and more mature. Ten years ago, they were buying luxury products because of their cachet and peer pressure, but young consumers today are more willing to learn about and understand brands, and find the right ones for their tastes. We keep updating our brand because of this. I enjoy visiting our stores and listening to our sales people as a normal customer. I’ve noticed that, very often, our customers know more about our brands than our sales people, which shows that they are really researching the brands available. This is a new development. Elisa Wang: Luxe.CO follows the latest updates from international designers. We can see that The Woolmark Company has been active in various areas of the fashion business, including the product design, promotion and marketing of fashion styles popular with young people. could you talk about how The Woolmark Company interacts with young consumers and convinces them that wool is fashionable? Yusuke Mori: When we first started out, people thought that pearls suited mature women better and should only be worn on formal occasions, such as at weddings, rather than as an everyday jewellery choice. Eight years ago, we made it our business strategy to change people’s perception of pearls. We hoped that they would not just be seen as suitable for formal occasions, but could be worn to work, for an afternoon tea with female friends or even when travelling. We wanted pearls to become an everyday item of jewellery. To achieve this, we transformed our design and sales channels. Every generation of Chinese consumers is highly dependent on mobile phones, which are a great sales channel. Last August, we launched our online boutique, mainly for marketing purposes rather than sales, as we wanted customers to be able to find out more accurate information about us online. We launched the site just before Chinese Valentine’s day and so many people visited the boutique that our server crashed. We hadn’t made a big effort to promote the boutique, but consumers are very good at searching online. That’s why our online resources are so important. Meanwhile, we work with key opinion leaders and B2C apps to reach consumers from different directions and to make them understand TASAKI’s brand better. Elisa Wang: What is the key to communicating with younger consumers? Yusuke Mori: Our company had to overcome some big challenges when transforming our strategy because at the time our designs were old-fashioned. Our customers bought from us because of the great quality of our pearls, rather than because of the designs. As the customers aged they stopped buying from us. We had to find a new group of customers for the brand to survive. Price: Every year, the price of luxury products is adjusted to avoid devaluation. We adjust the prices of our products slightly each year. Products: In the past, our products were traditional-looking and our existing designer couldn’t meet our new requirements, so we looked for new designers around the world. We now have three designers: the lead designer is from the US and the other two are from Europe. They are fashion designers rather than jewellery designers. Place: We have made great changes here as young consumers buy from shopping centres rather than department stores. TASAKI’s boutique stores can be found in shopping centres across the country. People: This was the most important part of our strategy. We were acquired by a venture capital firm and there was a change in management. The current management team has significant experience of looking after other international brands. They hope to make TASAKI the last but most successful stop in their careers, creating an international brand from Japan. We are doing really well in terms of this.